There Will Be No New Korean War Vladimir Putin. By Sputnik News. At the plenary session of the Eastern Economic Forum in Vladivostok last week, Russian President Vladimir Putin expressed confidence that there would not be another large-scale military conflict on the Korean peninsula. Russian political observer Anatoly Wasserman explains what it is that the Russian president knows that many observers don’t. 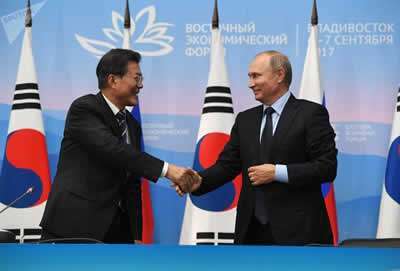 Addressing participants of the forum on Thursday, Putin said he believed all the parties involved in the standoff in the Korean peninsula are likely to “have enough common sense and understanding that they bear responsibility to the people in the region, and [that] we could solve this problem by diplomatic means“. “Like my South Korean counterpart, I am sure that there will not be a large-scale conflict, especially one involving the use of weapons of mass destruction,” the Russian leader added. Putin also recalled that in 2005, the parties to the conflict were on the verge of reaching an agreement on Pyongyang’s nuclear program. 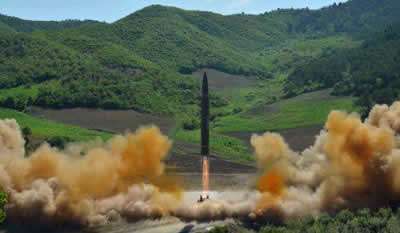 “Agreements were reached under which North Korea assumed responsibility to curtail its nuclear and missile programs. All other parties in this process promised to contribute to this. But then, someone started demanding from North Korea what it did not promise, and gradually the situation deteriorated to the present state,” he said. 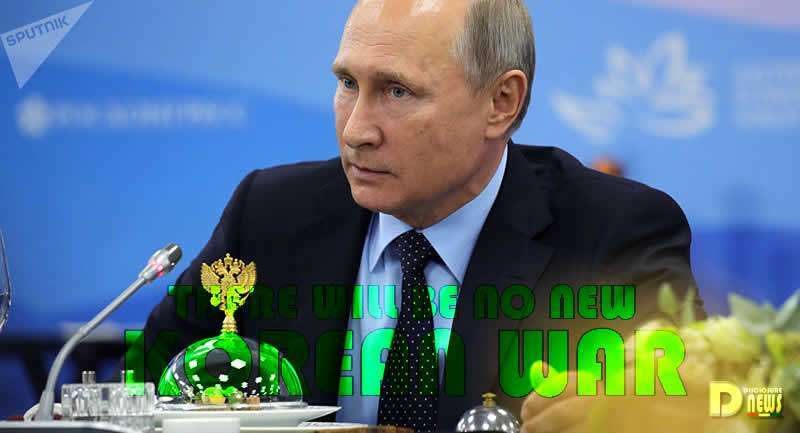 Analyzing the Russian president’s remarks in an article for RIA Novosti, Anatoly Wasserman took note of the fact that “first of all, Putin diplomatically avoided naming this ‘someone’. “In the conflict we’re discussing here, it’s equally obvious just who it was that may have demanded from North Korea something that Pyongyang never promised,” the political observer wrote. In the case of the Koreas, the observer suggested that both of them are rational enough. “if only because the conflict that’s developing today is just another stage of a confrontation that’s been going on in the peninsula since the beginning of the 20th century, when Korea was first occupied and thoroughly genocided by Japan. Background note: During the Korean War of 1950-1953, the US Air Force dropped 635,000 tons of bombs, nearly 150,000 tons more than it had in the entire the Pacific Theater during World War II, on Korea. 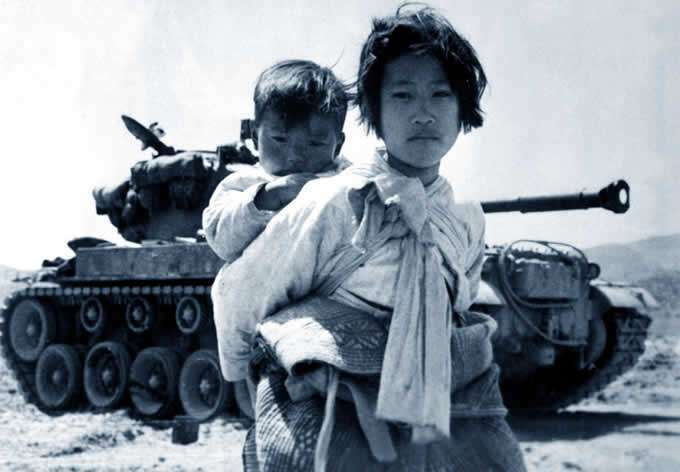 The Korean War caused over 3 million civilian casualties, the vast majority of them in the north. 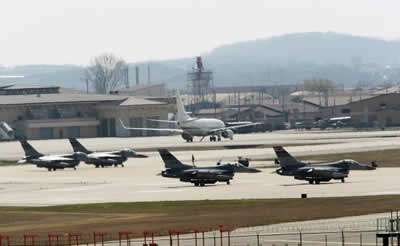 “Given these circumstances, I believe that the behavior of the South Korean president, which consists of a harmonious combination of a reminder of the danger posed by North Korea’s conduct, and promises to offer Pyongyang a role in mutually beneficial economic projects, is the most reasonable way forward,” the observer noted. For this reason, countries that are economically developed, as a rule, appear less aggressive”. Remember the past, understand the present, to build a better future (DNI Note). “Is there anyone now who’s interested in a new korean war?” the commentator asked. “I think not,” he answered. “Theoretically, one can imagine that for a part of the American establishment, this war could be deemed profitable under the present circumstances, since President Trump won the election thanks to his promise to return jobs to the country. And jobs began leaving the US for South Korea long before than they started to leave for China. Therefore, I cannot rule out the possibility that the destruction of South Korea as a result of a war would be beneficial to the US,” or at least to those financial and industrial groups who may look to rebuild the US industrial base at any cost. “But even in the US, those forces for which a war in Korea would be unprofitable are even stronger. And the Russian president, I think, is also aware of this,” Wasserman concluded.